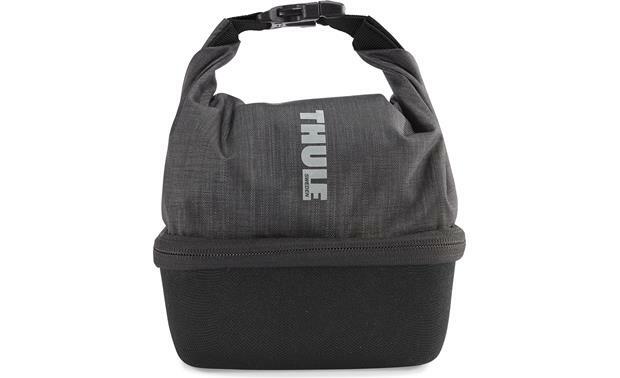 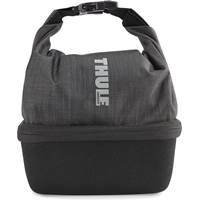 Thule's Perspektiv Action Camera Case can carry up to two action cameras and their accessories. 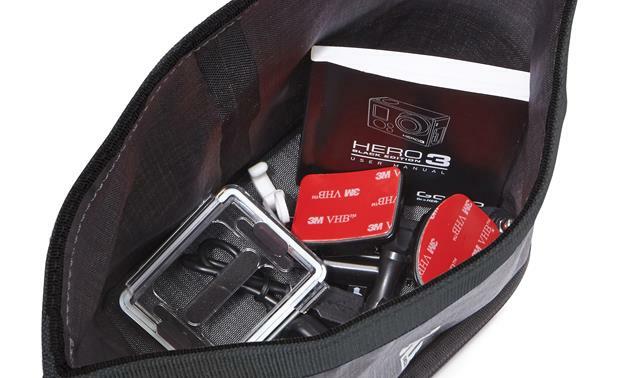 The padded storage area holds your cameras safely and securely. 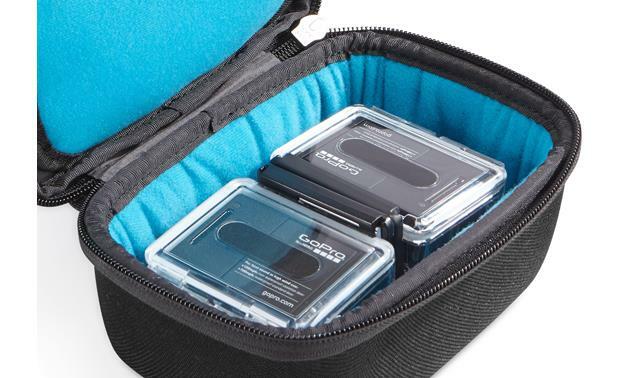 A flap has holders for memory cards and batteries. 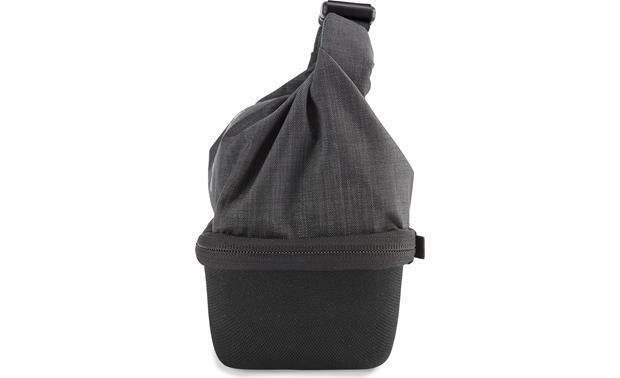 The top section opens up as a storage pouch to hold your accessories. 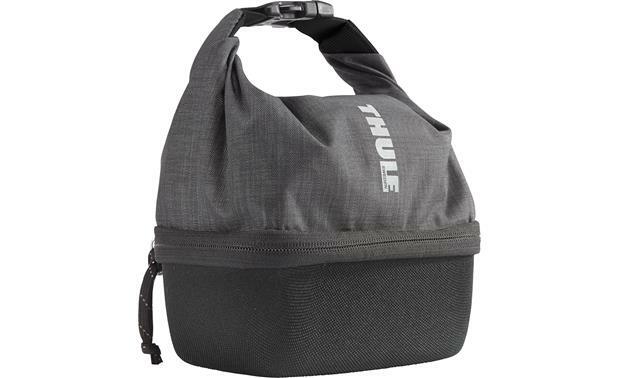 Overview: The Thule Perspektiv Action Camera Case (TPGP-101) is designed to fit GoPro, Sony, Contour, and other brands of small action sport cameras. 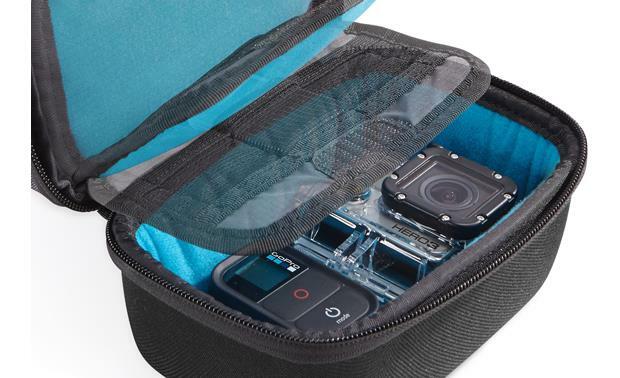 The case features a crushproof, padded compartment for one or two action cameras, plus a nylon roll-top stash compartment for your mounts and accessories. 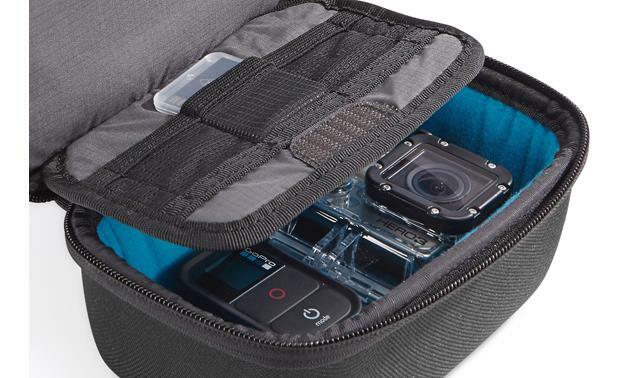 A flip-down panel on the top has three elastic compartments to store your memory cards and spare batteries. 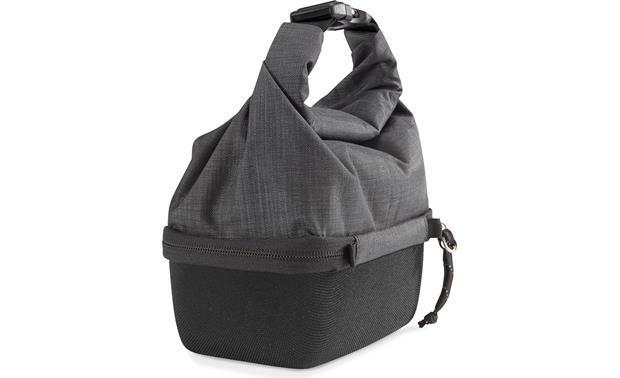 The bottom compartment has a 3-sided zippered closure, while the roll-top stash compartment has a secure clip closure.